Argh – kill it now, before it breeds! 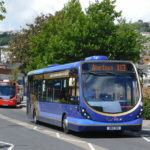 Done properly, the angular Gemini 3 / Streetdeck can look at least half decent – a turd can indeed occasionally be polished. But not in lowheight form. And certainly not in cream. The unfortunate inspiration behind this whole article, not even Best Impressions can make this vehicle look any less of a dogs’ dinner. 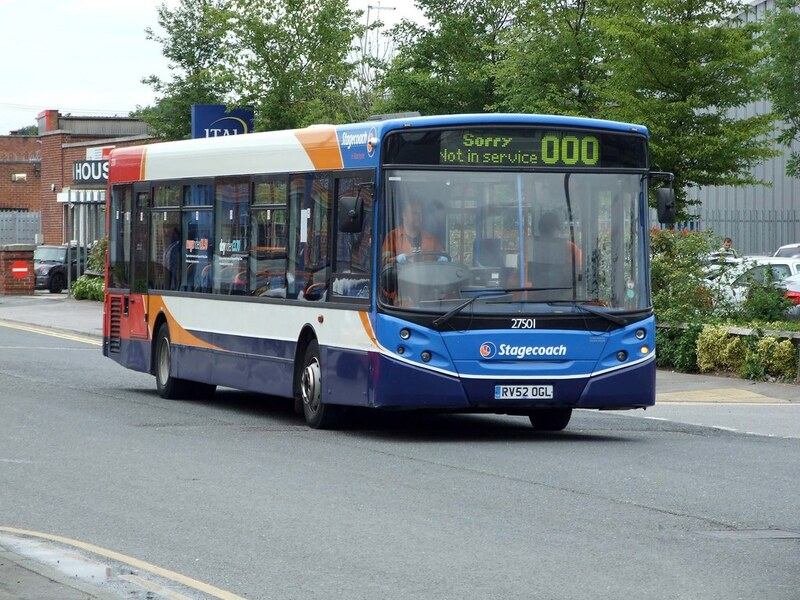 ‘Gopping’ is probably the best word to describe the original Enviro 300, ‘designed’ entirely by committee at TransBus International (which incidentally also has to be the blandest, most corporate name they could think of for the company at the time). 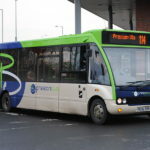 Funnily enough, even TransBus shunned its own design – none of the other vehicles in the Enviro family ended up taking their styling tips from the first-generation E300 (edit: thanks to Daniel Laird for pointing out that actually, this design did somehow make it to another vehicle – the Enviro 500!). A short, stubby little bus which Scania and East Lancs envisaged to be a competitor to the popular Dennis/Transbus Mini Pointer Dart. Built using a chopped-up full-size Scania CN94UB chassis and a butchered ELC Myllennium-style body, the bus never really broke ground on the ‘MPD’, selling in pitiful numbers to only a handful of British operators. 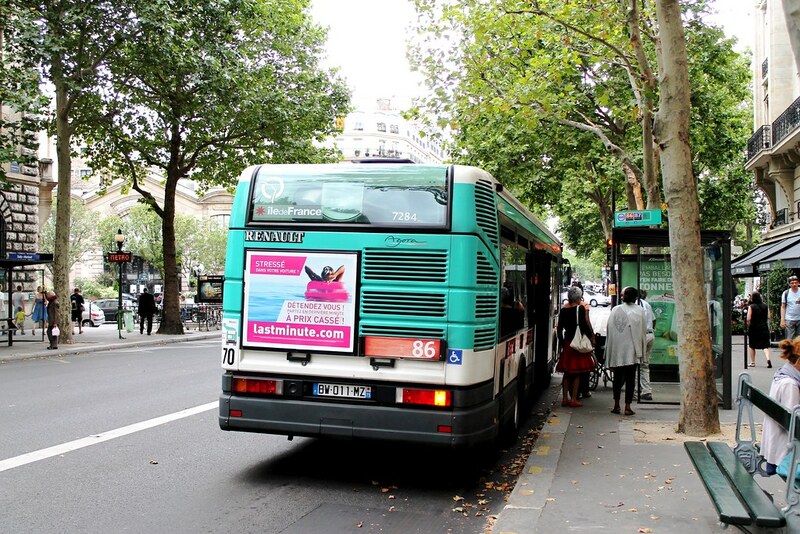 And speaking of short, stubby little buses…! OK, so technically this bus was never actually ‘designed’ per se, but was the unfortunate result of a laboratory experiment gone wrong. 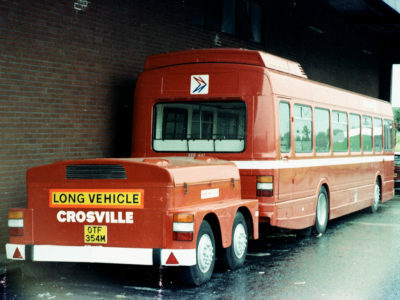 Originally starting life with its head intact as a GM Standard double decker, this unique vehicle hit a bridge and came off worse – but rather than scrap a perfectly serviceable chassis, GM instead decided to give birth to this mutant. The Agora never really caught on in the UK (sold as the Irisbus Agoraline), and it’s easy to see why. In actual fact, the front of these vehicles, particularly later models is quite refined, perhaps even handsome – but just look at that rear. Bloated, utilitarian, ugly – it’s as if the designers simply went on strike, leaving the accountants to finish the job. Perhaps the most miserable looking vehicle of all time – from the front, at least. 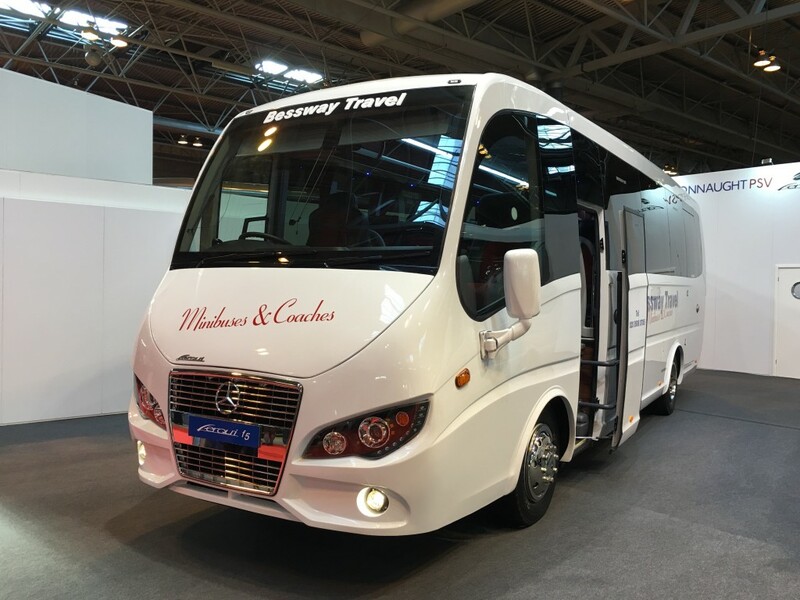 The Spanish-built Ferqui F5 debuted at Coach and Bus Live 2015 in the UK – you can read our thoughts on this particular piece of vehicular offal here. 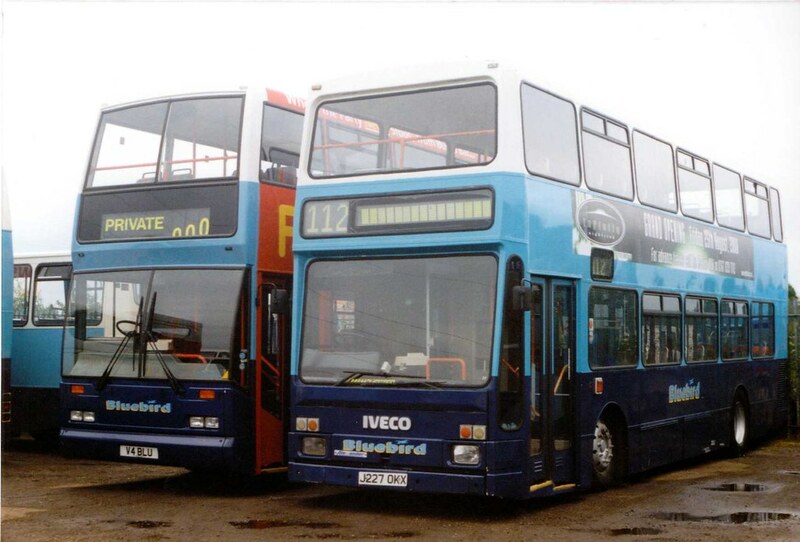 An ill-conceived, badly designed and terribly disguised single-decker by Iveco which attempted to break into the UK double decker market in the early 90s. The unique Iveco Turbocity double decker was actually a single decker chassis grafted onto a heavily-modified Alexander R-type body, creating an ugly, heavy, expensive, and entirely impractical monstrosity of a vehicle. 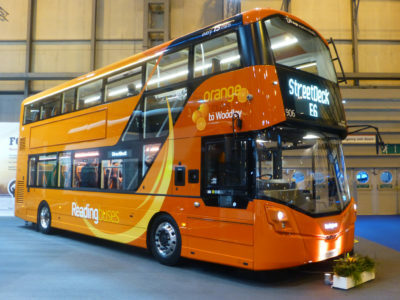 The sole example passed unceremoniously around a number of operators in the UK before being scrapped around 2005 after an accident. 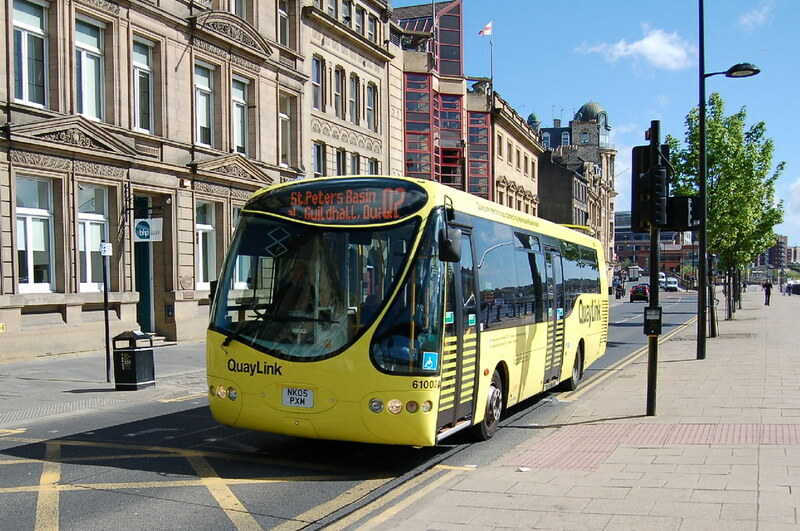 Barely even qualifying as a ‘bus’, the Technobus Gulliver (and later the Pantheon) were battery-electric vehicles operated under contract to Merseytravel in the UK (and elsewhere on the Continent). 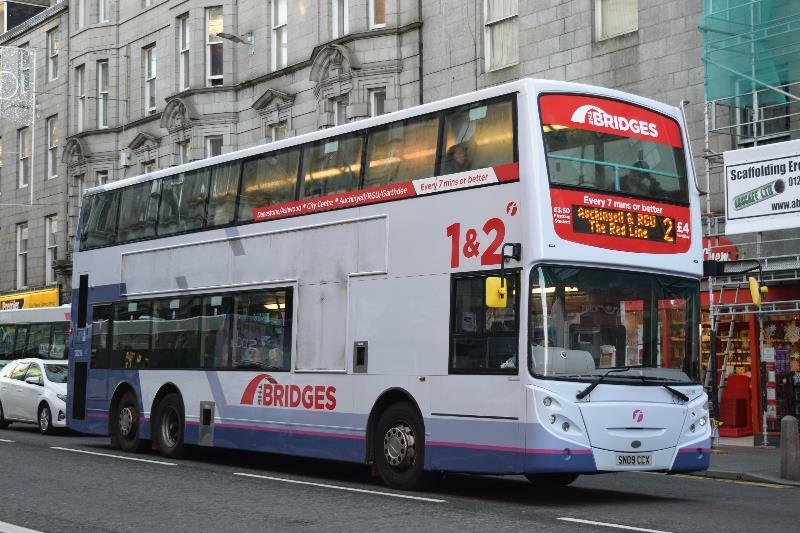 Perhaps the most miserable-looking vehicles of all time (even more so than the aforementioned Ferqui F5), these buses are the public transport equivalent of the much-loathed G-Wizz electric car. 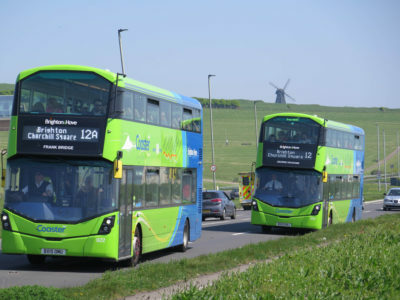 Slow, impractical, ugly and expensive, their usage in the UK was unquestionably an exercise in ‘green travel’ too far. 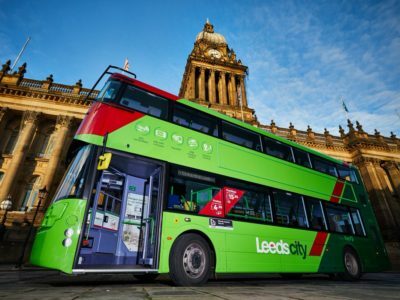 Technically, this bus doesn’t actually exist, but inclusion in this list is warranted as it is an abomination which could quite easily have been a stark reality, blundering its way awkwardly around the streets of London. Designed by Foster and Partners in collaboration with Aston Martin (really?!) 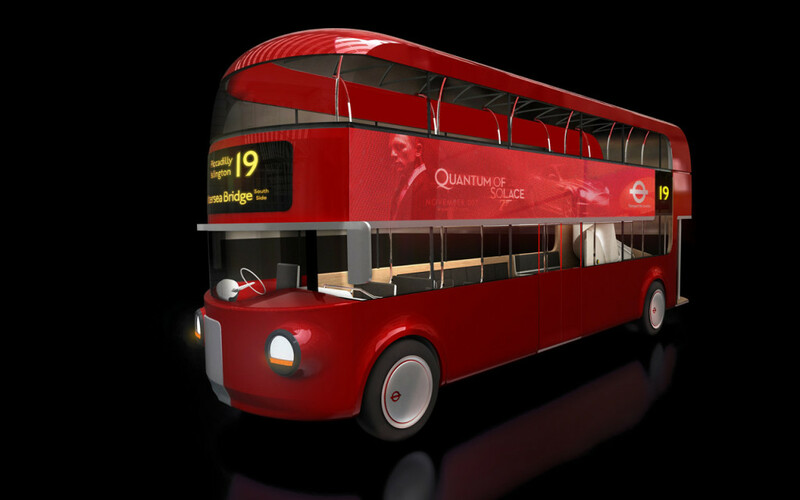 in response to a competition from TfL, the design was concocted in 2008 only to be trumped by Heatherwick’s ‘Borismaster’. Thank heavens it was beaten. A truly godawful piece of New Zealand-built hybrid-electric hellspawn which rightly takes the top spot in our list of the world’s ugliest buses. 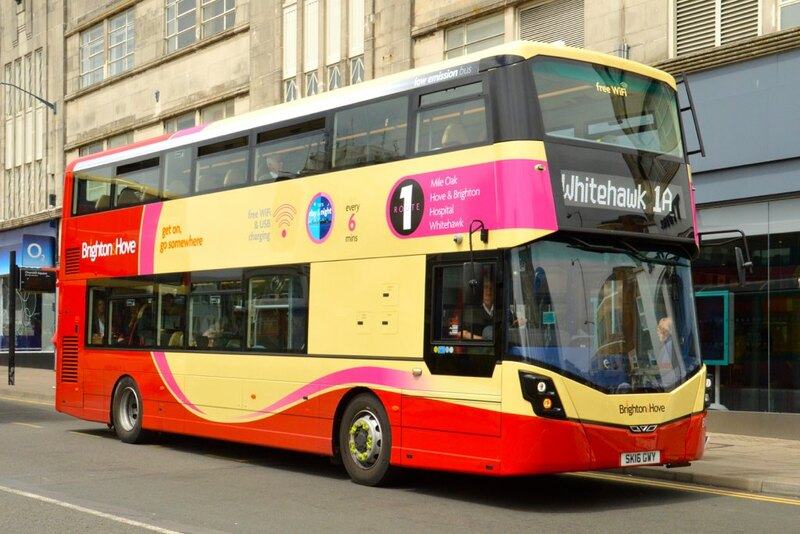 Ten of these grotesque vehicles were operated on Tyneside by Stagecoach under contract to Nexus, utilising the ‘Quaylink’ brand. What were they thinking? 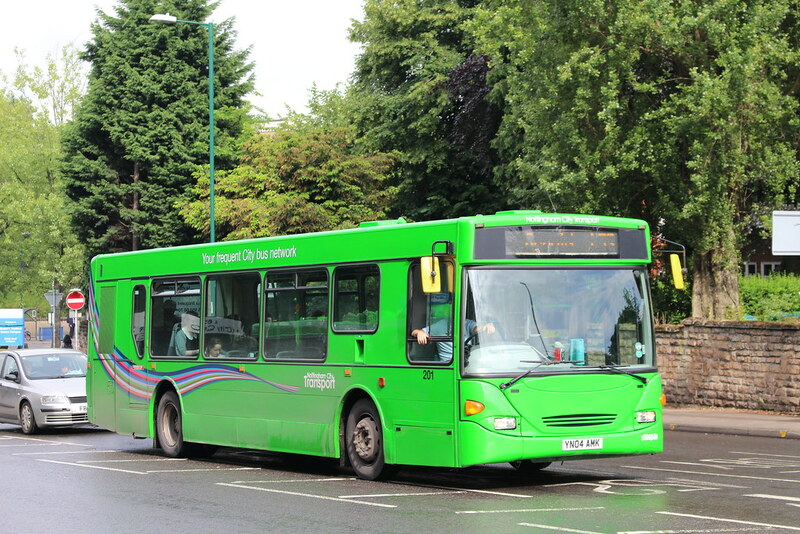 Incredibly, the entire fleet was scrapped prematurely following their replacement by standard Optare Versas operated by Go North East – a fitting tribute to what has to be quite simply, the ugliest vehicle of all time. And there you have it – our ‘top 10’ of the world’s most horrendously-designed buses. We’d love to know what would make your list – write in the comments below, or drop us a tweet @transportdsn. I have to agree with you about the low height Streetdeck, it does not look right, compared to the low height 2DL. Another suggestion for the list would be the top heavy Marshall bodywork used on Atlanteans for SYPTE and the Leicester Dominators. Even the Folwer bodied Atlantean for Fishwicks. Not keen on the Merseyside electric boxes, not the most pleasing of vehicles. Another fine article as ever. Thanks Scott! Oooh, good shout on the Marshall-bodied Atlanteans – proper munters. 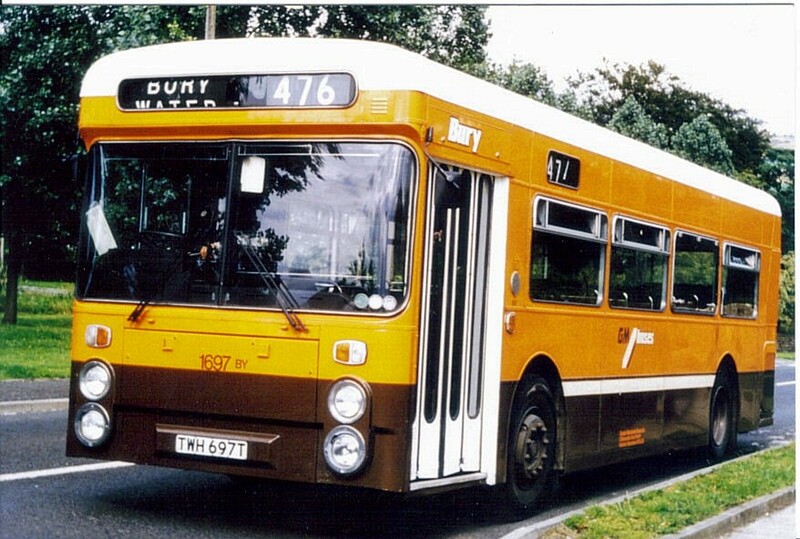 I guess if we’re talking Atlanteans, Nottingham City Transport had some pretty dreadful bespoke bodywork on theirs! 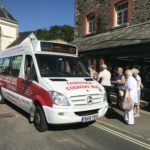 Ah, completely forgot about the Enviro500 – I stand corrected! Will edit the post accordingly. Thanks Daniel!